Happy New Year! It is January once again, and for those connected to the anti human trafficking movement, that means a flurry of activity surrounding the annual National Human Trafficking Awareness Month. There are oh so many things to see…to do…to learn… and to give money or time in support of. How do we want to center ourselves this month? How do we want to start of the year?! We think there is MUCH to celebrate! Tremendous progress has been made, specifically in our own community. It’s absolutely mind-blowing to consider how far we’ve come in the past 5 years. CVJC began at that time. (The year was 2010, so yes, we are technically 5 years old this year!) 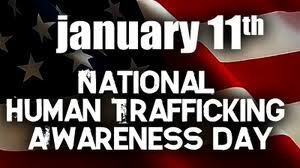 along with the only other organization known to us at the time: Central Valley Against Human Trafficking. Certainly, there are moments when we want to pull out our hair because many do not understand the slightest bit about the issue, despite well intended efforts in educating the public. There are moments when we are frustrated, or wish people would respond differently to those affected. There are moments when we wonder if we are making a difference! But thankfully, there other moments to CELEBRATE! Such as the reality that 15 faith communities in the Fresno/Clovis area participated in observing CVJC’s Freedom Sunday last year alone! Several of these churches (such as People’s Church, Northpointe, Fresno First Baptist, First Presbyterian, Northpark Church) have such a large influence that literally tens of THOUSANDS of people were educated about human trafficking and how to respond. Because of Fresno First Baptist’s TV broadcast on FOX26, a potential 200,000 people in the Central Valley will be led in prayer this coming Sunday on Human Trafficking Awareness Day (Jan 11, 2015). On Freedom Sunday, coming in a few weeks on February 1st, the same number of people will have be invited to PRAY, GIVE, and ACT. I haven’t touched on the hundreds in our city that were affected by Freedom Week in 2012, and how that has had a ripple affect in our extended community. Looking ahead to 2015, we are anticipating amazing things! For example, in the next month or so, God willing, CVJC will launch a prevention program at juvenile hall, breaking new ground that people in our community have been praying for and working on for years. This is a big deal! Thank you for considering what YOUR role may be this month, and this year. JOIN US in this adventure if you haven’t already! Consider how you can pray, give and ACT on behalf of the many who don’t have the basic freedoms that we take for granted daily. Let’s make this year’s Awareness Month one to truly celebrate in new and MOMENTOUS ways.